Experience whitewater to scenic trips at their finest! 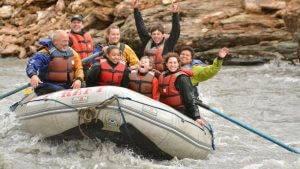 Experience rafting whitewater to scenic trips at their finest! On Sunday 5th of May, our reservation system will be completing a planned infrastructure upgrade. During the maintenance window we anticipate that there will be a platform outage of no longer than 15 minutes, though it is anticipated this timeframe will be considerably shorter. Experience the thrill of a whitewater river adventure! 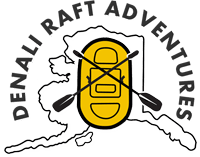 Locally Family owned and operated since 1974, Denali Raft Adventures, Inc. is the original raft company on the Nenana River at the entrance of Denali National Park, Alaska at mile 238.6 Parks Highway in the Denali Rainbow RV Park and boardwalk behind the Thai and Chinese Food to Go. Offering two hour to all day raft trips. We provide transportation to and from the river and local lodging, knowledgeable guides, 18 ft rafts, Gore-Tex dry suits for the utmost in comfort, neoprene boots, and a Coast Guard approved life jacket. So, you can experience a sense of adventure and fun for an activity that has inherent risks. Try it for Fun! 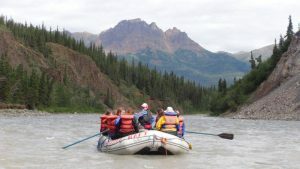 Raft with us on the Nenana River and make a memory that will last for a lifetime. Hang on! It’s whitewater ahead! You’ll get wet and enjoy every minute of it as we head for Healy, 11 miles down river. A great trip for families! 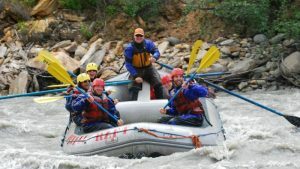 Hold on and enjoy your introduction to rafting in Alaska on this thrilling, yet enjoyable trip. Get the whole enchilada on this combination of the “McKinley” and “Canyon Run”. Enjoy the beautiful Nenana River. Our most gentle rafting trip! Enjoy the beautiful Alaskan scenery of the Denali National Park area. A perfect trip for families. 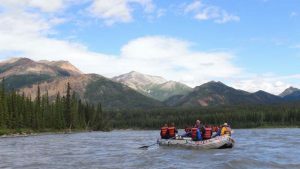 A guided scenic trip with whitewater thrown in with McKinley and Canyon Runs plus an additional 2 hours of scenic mild water and lunch. Whitewater Rafting and Land Tour Combo. 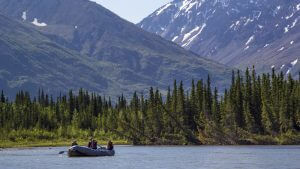 Enjoy one of our River Run Tours AND Denali ATV Wilderness Adventure. Buy Together and Save!